Searching for a quality plumbing service in Los Altos? Whether a big or small, plumbing issues can be frustrating and interrupt your family’s normal routine. From a simple leak in the kitchen faucet to extensive sewer line repair, at Chandlers Plumbing our experienced technicians are skilled at completing a wide range of plumbing projects. In addition, to great service you can expect our uniformed contractors to respect your property. In need of same day service? With emergency services our contractors are available for around the clock care. All of our technicians are trained and insured. Here at Chandler’s Plumbing service in Los Altos we provide a wide range of same day plumbing services. No matter how big or small your plumbing issue is, we’re the local plumber that is right for the job. For added convenience we proudly serve the surrounding cities of Los Altos Hills, Saratoga, Campbell, San Jose and all of Santa Clara County! Need Fast & Affordable Plumbing Service in Los Altos CA? All modern toilets are connected to a roof vent. When you flush the toilet, it drains outside through the roof vent which also brings in fresh air and boosts the flushing pressure. When these vents become clogged it causes clogging. A toilet with water running water that refuses to flush properly can be frustrating. Since the toilet is responsible for as much as forty percent of your home’s water usage, this will no doubt increase your water bill. There’s nothing better than relaxing in a nice bath after a hard’s day of work. However, this can be nearly impossible if you’re experiencing bathtub plumbing issues. We’ve found that some of the most common problems our clients have dealt with include; clogged drain or leaks coming from the bathtub. These problems are usually the result, of pipeline with blockage, overflowing pipe or shrinking in the surrounding grout. It’s important to know that these type of problems should be repaired as soon as possible. Faulty showerhead systems are more common than you think. An expanding connector or a broken water supply can be contributed to issues within the shower head. Bathtub and shower heads repairs aren’t the only thing our crew can do. We also have experience installing sophisticated shower systems, hot tubs, and spa-like jets. Every home should undergo routine drain cleaning. Products that claim to clean your drain are often ineffective. Drain cleaning removes wastewater, food particles and other contaminants from all the drains in your home that can create a blockage in the pipelines. You’ll notice that after having the drains thoroughly cleaned it will greatly improve your plumbing infrastructure and prolong the life of your homes pipes! Read more about our Los Altos drain cleaning service. When the blades stop moving this is typically an indicator that there is something stuck inside. In this case, you’ll need to completely power off the garbage disposal to see if there is something caught inside. Leaks is another common issue. Leakage can occur from anywhere within the garbage disposal system. Trenchless sewer line repairs have replaced traditional sewer line repair methods. It’s a non-invasive approach to accessing the water line pipes underground that doesn’t require digging up your lawn or backyard. Most homeowners opt for trenchless sewer line repairs because it’s less expensive and much faster. Trenchless sewer line repairs are the solution for cracked, broken or corroded pipelines. This type of repair project requires a skilled plumbing contractor who has been specially trained in trenchless sewer repairs since complex pipe repair techniques will be employed. The main water line is the pipe that connects the public water supply to your home’s plumbing infrastructure. It’s responsible for transporting fresh water into your home to be used in the bathroom, kitchen and any place else there is a faucet. Perhaps the biggest problem that homeowners have to deal with when it comes to the main water line is a blockage. Yes, the water line can easily become clogged with debris, food particles, leaves, animals and a host of other particles. Tree branches and freezing weather can damage main water line pipes and even cause them to break. Let our experienced technicians perform an inspection of your main water line to determine whether it needs to be replaced or if it can be repaired. If you have reason to believe that there is a leak in your home, you shouldn’t wait to get your home serviced by a skilled professional. Undetected water leaks can cause water to leak behind the walls and floors causing extensive water damage. Water damage will threaten the integrity of your home and can cost thousands of dollars . In addition, moisture provides the perfect environment for mildew and mold growth which can be harmful to one’s health. At Chandler Plumbing we can determine the source of the leak in your plumbing system with the use of advanced leak detection technology. Once the location of the leak is discovered we’ll provide an affordable solution towards repairing it. The average lifespan of a water heater is between eight to twelve years. If your water heater is towards the end of its lifespan and experiencing mechanical issues a replacement might be necessary. Finding a quality plumbing service in Los Altos Ca can be difficult. 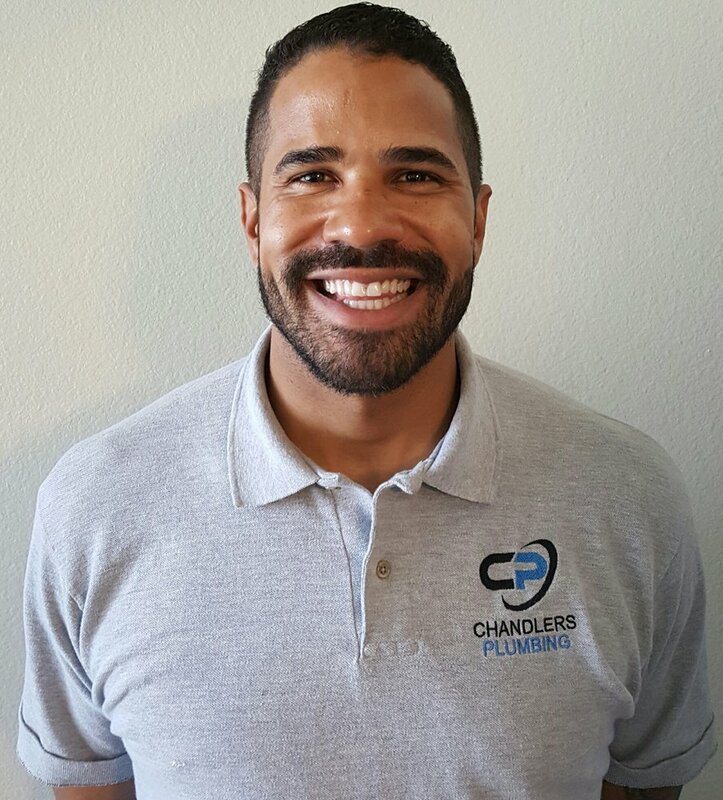 Here at Chandlers Plumbing, we have developed a reputation for providing quality service at affordable prices. Our technicians are insured and have undergone specialized training with a license to practice in the state of California. Whether your home requires routine maintenance or extensive pipeline repair and replacement there is no job that is big or small. Call us to a schedule a consultation today. We guarantee timely service and a solution to your plumbing problem.